The reason behind this trip was actually the conversations I had with foreigners during my backpacking trip to Thailand and Laos last year. I met people from across the globe and everyone had either visited or had plans to visit India. They asked my friends and me about the taj mahal, our pink city, himalayas, north east etc and we being Indians were clueless about these places. I felt that a few people there knew more about Indian tourism than us. That is when I decided that before I visit any more international destinations, I would visit atleast few of the world renowned places so that I can tell others with experience about Incredible India. This trip was different from my other trips because my mom was traveling with me. So when I planned this trip, I wanted the locations to be mostly historical or religious in nature. Whenever I spoke with mom about a trip, she kept saying she wants to visit the Vyas Ashram in Haridwar with my bro and me. So Haridwar was going to be one of the locations for sure. 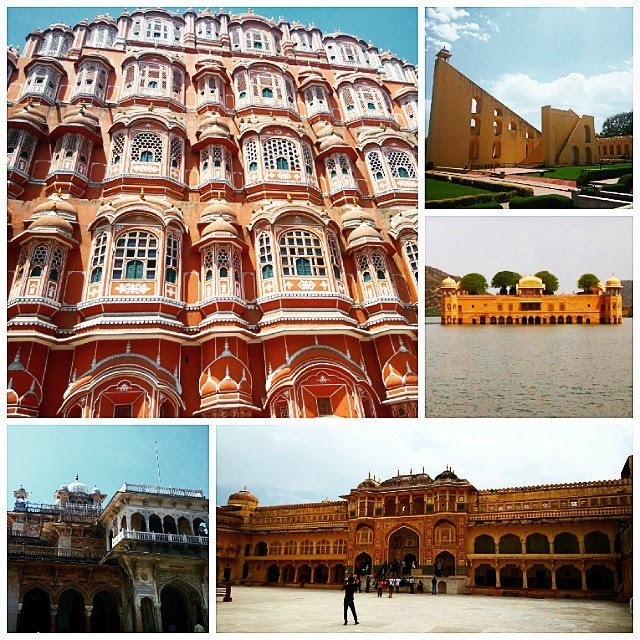 Then I picked up places that I personally wanted to see and felt that my mom would enjoy too - Taj Mahal, Golden Temple, Wagah Border and Jaipur. The next few days were spent on IRCTC and all those flight/bus booking sites to come up with all possible routes. I also looked at the packages that various places had to offer. There was no package that would cover all the places that I wanted and also the existing packages were pricey and had more time for resting than for visiting places. After the trip ended I realized how important rest was, but its ok, we did get decent amount of rest every where. So let me outlay the itinerary now. 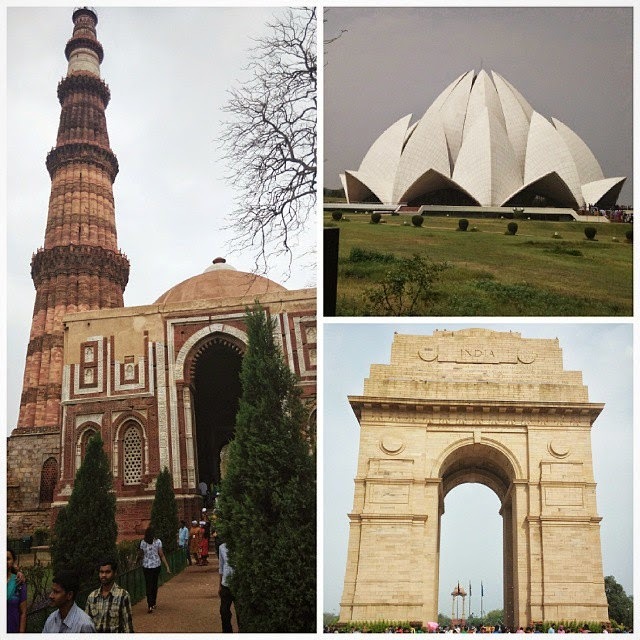 The trip started with early morning flight from Bangalore to Delhi followed by a city sight seeing. Each place we visited had its own importance. Qutub minar spoke of history, lotus temple was for communal harmony, India gate represented the war of independence and Akshardham was a place to appreciate art and our culture. 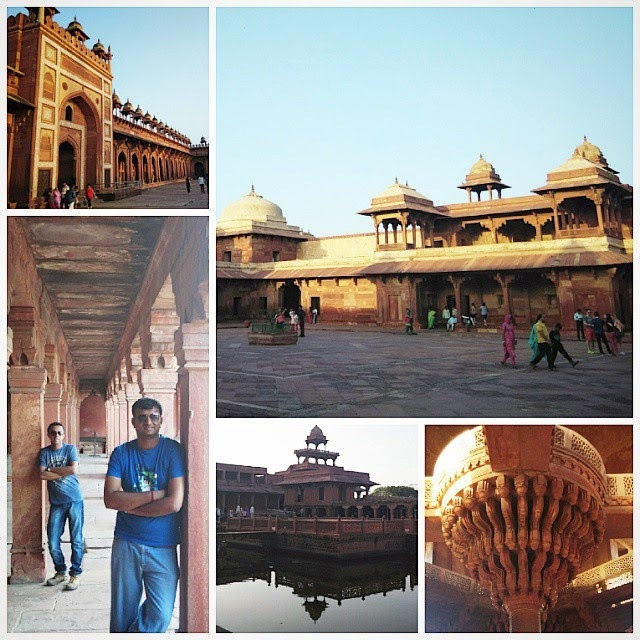 Day 2 we head to Agra where we visited the Taj Mahal and Akbars fort in Fatehpurshikri. 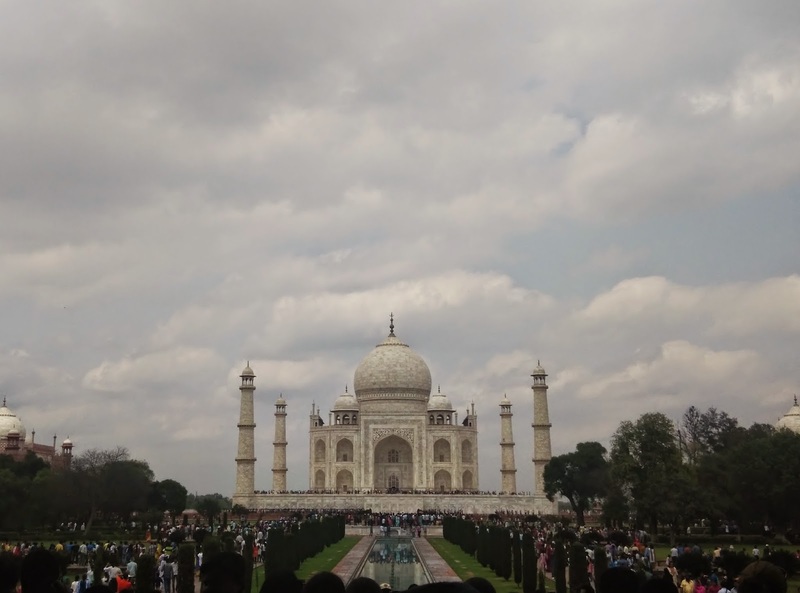 While Taj has the cleanliness and the beauty, rest of Agra was a plain mess. Fatehpurshikri was like a recap of the movie Jodha Akbar. We took the Shatabdhi from Delhi to Chandigarh on the morning of Day 3. 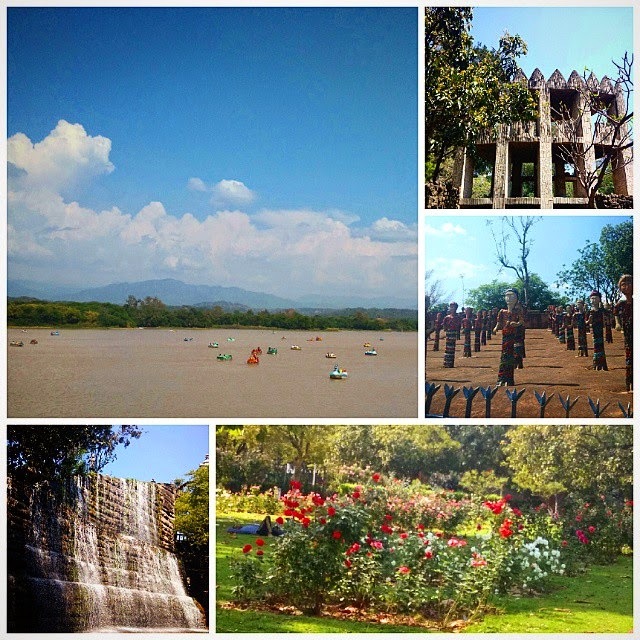 Chandigarh is a man made city and so are most locations here. You can travel through the entire city of Chandigarh faster than crossing silkboard junction of Bangalore also there are only a handful of places in the city to visit. 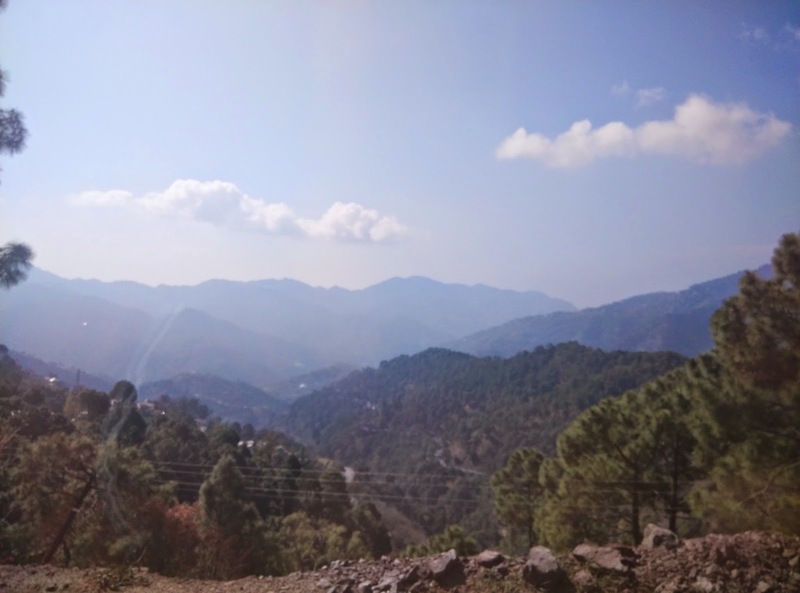 On day 4 we head out to Kasauli which was a hill station about 60kms from Chandigarh. The ride through the mountain range is what you will cherish the most. 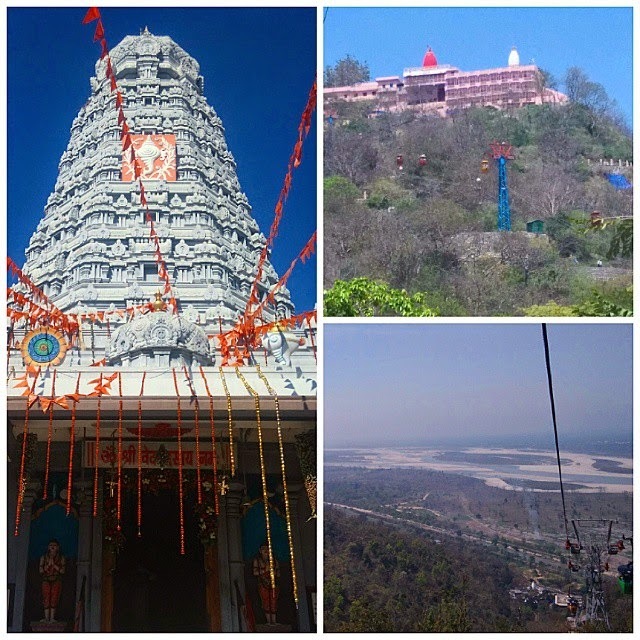 It has a Hanuman temple on a hill that is controlled by the Indian Air Force. The temple is so quiet and cool that you will never want to leave. That evening we took the super express train to Amritsar. We reached late evening and retired for the day. 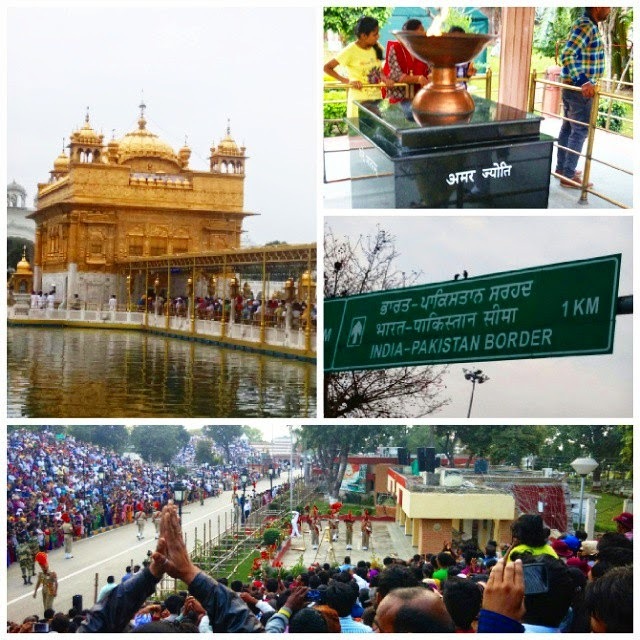 Day 5 had only 3 places - Golden Temple, Jallianwala Bagh and Wagah Border. These 3 places are overly crowded and yet none of them are to be missed. You will find peace in Golden Temple, hatred towards british in Jallianwala Bagh and a unique sense of being high (literally) on patriotism when you visit Wagah. We took the overnight train to Haridwar that night. 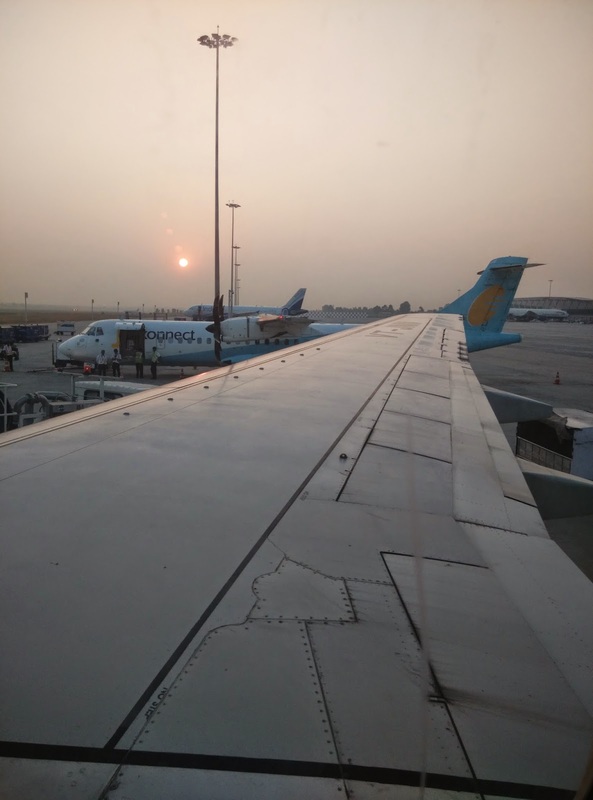 In the first 5 days of the trip we had covered 2 UTs (Delhi and Chandigarh) and had visited a city each in 3 states (Uttar Pradesh, Himachal Pradesh and Punjab). 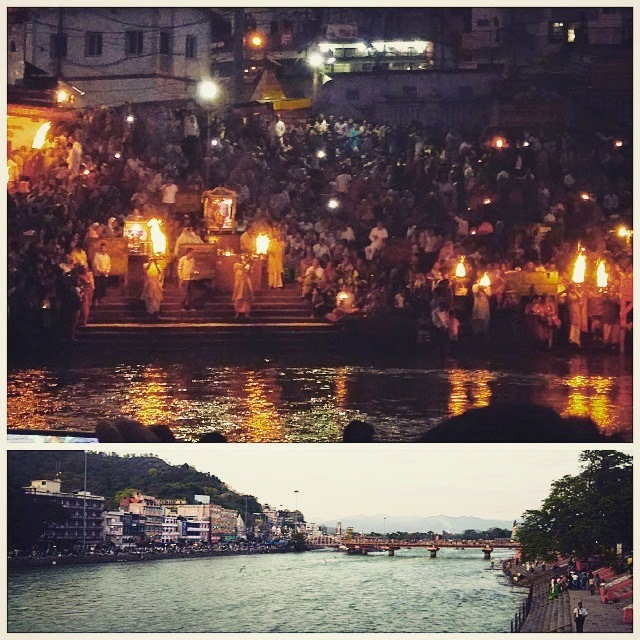 Day 6 to 8 was spent visiting temples in Haridwar and Rishikesh. We stayed at our community mutt where for the first time in our trip we got a proper meal with good rice and sambhar/rasam/dal. The Ganga arathi is a delight to watch and the temples here have its own charm. 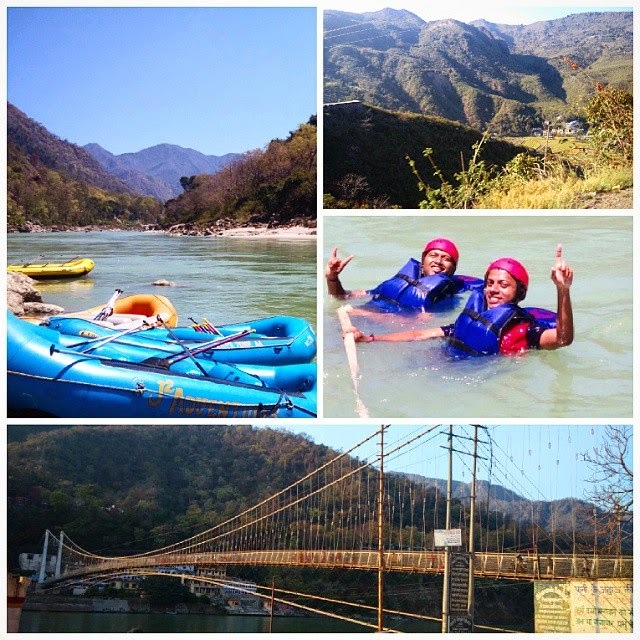 My brother and me also went for the 16kms water rafting in Rishikesh which is not to be missed. These 3days we had enough rest and I suppose we started feeling home sick (no seriously). Day 10 we visited Pushkar which has the only Brahma temple in the world. You can pay respects to the people you have lost in your life and pray for their moksha. We reached back home in Bangalore by midnight on day 10 of our trip. 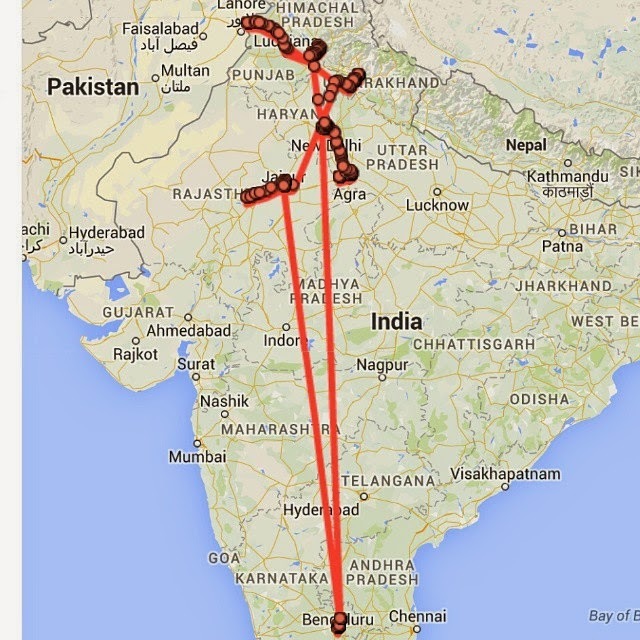 And thanks to google which tracked my phone though out the journey, I got a route map of my trip through Google location tracker. 1) Twitter - All the locations were planned and chosen based on recommendations given by various people that I know through twitter. 2) Jet Airways and Indigo - For being prompt in picking us up and dropping us back to Bangalore.